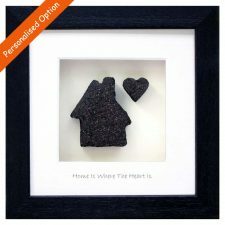 This is such a sweet gift entitled ‘Home is Where the Heart is’. 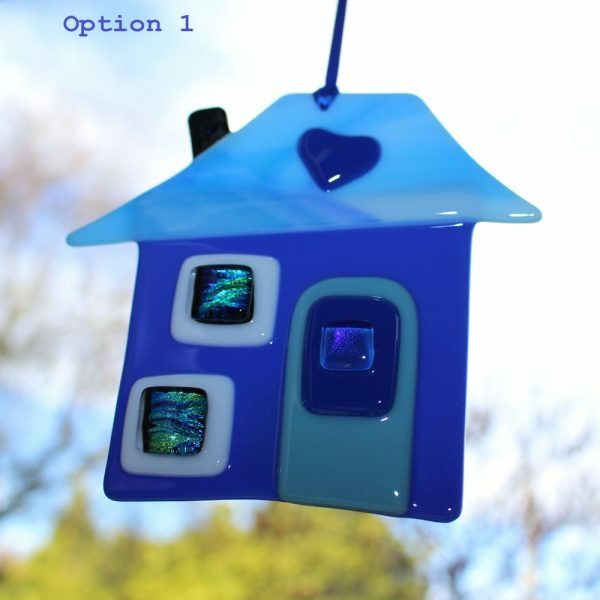 A little house to hang, made of fused glass in beautiful blue colours. 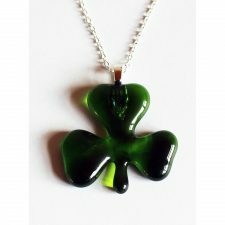 A small fused glass keyring is also include with this Irish gift. 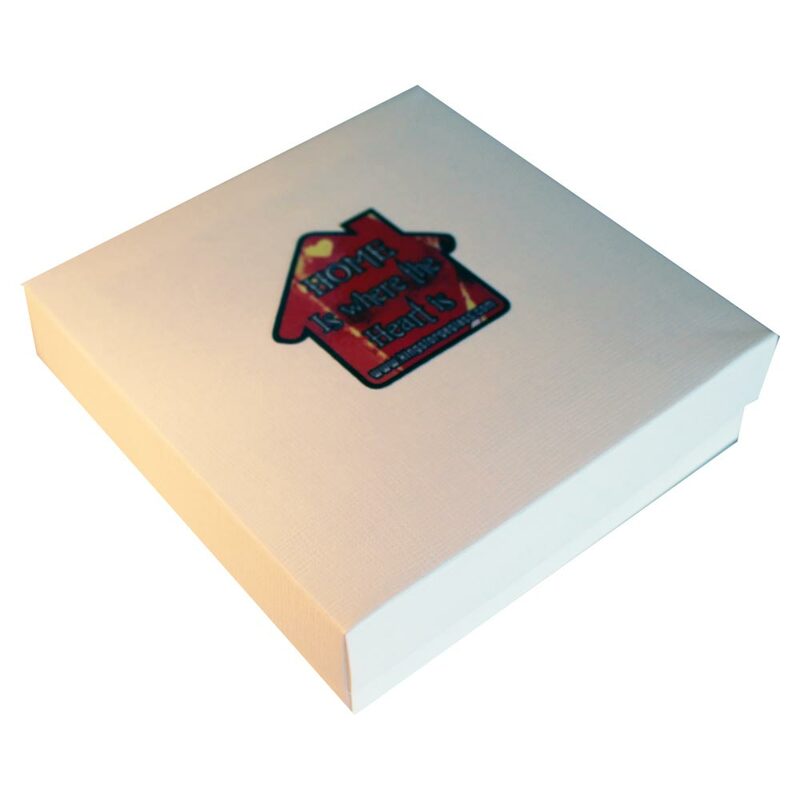 A lovely Home is Where the Heart is gift. 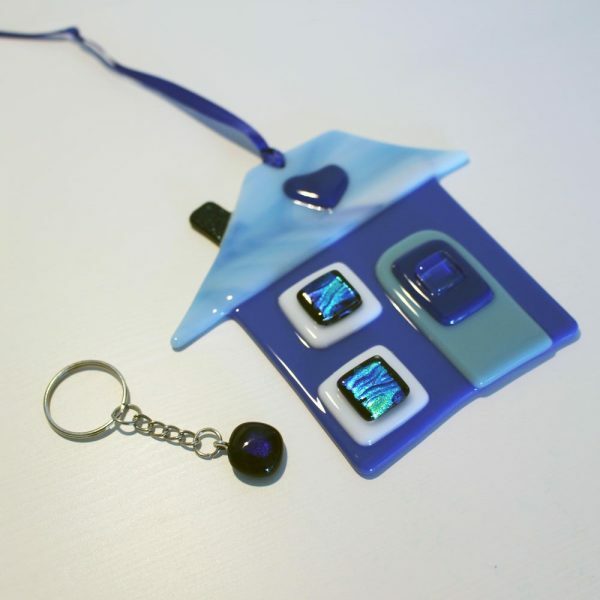 Handmade with fused glass in a variety of complimentary blue colours. The windows and door of this little house are raised, as is the heart in the roof. Hangs with a blue ribbon. 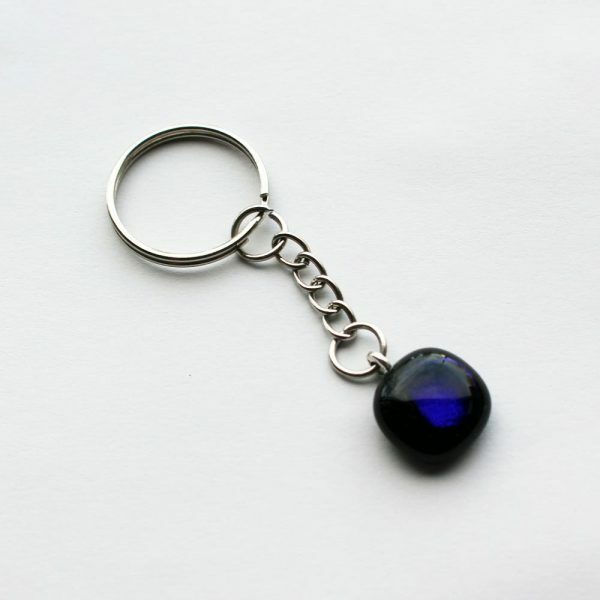 The keyring is also fused glass, a black square with a purple middle. 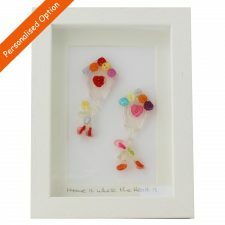 This Irish craft is handmade and different colour blues are used for each Home is Where the Heart is gift. This means your gift is completely unique. The images currently shown are of the exact next gift in line for dispatch. Note: please allow for screen and resolution difference for colour. Home means something different and very special to all of us. Each King’s Forge Glass ‘Home’ is equally unique, and includes a little heart somewhere in its make-up. The extra-special, sparkling, dichroic glass touches refer to that warm, comforting affect home has on each and every one of us. 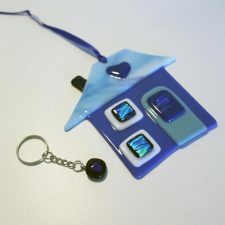 Each one includes a fused glass key ring, so you know you’ll never lose the key to the heart of your home.